BATS Global Markets, the US-based trading venue operator, has entered into exclusive negotiations regarding the potential purchase of multilateral trading facility Chi-X Europe. BATS Global Markets, the US-based trading venue operator, has entered into exclusive negotiations regarding the potential purchase of multilateral trading facility (MTF) Chi-X Europe. If successful the takeover would reduce fragmentation that is challenging the buy-side's ability to find liquidity in Europe, without hiking trading costs. Negotiations are expected to conclude in February 2011, according to sources familiar with the matter. The firm, which runs the BATS Exchange in the US and MTF BATS Europe, was identified as a potential bidder for Chi-X Europe in September. Sources have suggested that Chi-X Europe's owners, which include brokers and electronic markets makers, have looked for a sale price of Â£200-300 million, but the eventual sale price is expected to be US$200-300 million. Japanese investment bank Nomura owns 34% of Chi-X Europe via its agency broking subsidiary Instinet; market maker Getco and brokers Bank of America Merrill Lynch, Citi, Credit Suisse and Morgan Stanley hold stakes in both Chi-X Europe and BATS Global Markets. According to market data provider Thomson Reuters, Chi-X had a 16.47% of pan-European equity trading market share in November compared to BATS Europe's 6.27%. Deutsche Börse had a 13.17% market share while the London Stock Exchange (LSE) had 11.75%. For UK stocks, the LSE had 51% market share in November, Chi-X 23.7% and BATS 10.29%. For the time being, Chi-X Europe and BATS are the only surviving independently-owned MTFs, launched by brokers to compete with – and reduce the trading fees charged by – incumbent exchanges. Fewer MTFs could lessen the pressure on trading costs that the competition provides, however by retaining independence from an incumbent, a combined BATS-Chi-X MTF is likely to continue operating at a low cost base with low fees. Chi-X Europe's pricing model is based on a slim 0.1 basis points taken on every trade. Assuming a 50:50 split between orders that take and add liquidity, €1 billion of trading a day will create €10,000 of revenue, which translates to €2.5 million of revenue per year. Competitive pressures are likely to be sustained by the fact that the major incumbent exchanges – the LSE, Deutsche Börse and NYSE Euronext – each now offer their own pan-European lit markets (Turquoise, Xetra and NYSE Arca respectively), although these have had mixed success in attracting liquidity. Europe's major national exchanges themselves have lost share – in November 2010, the LSE accounted for 32% of trading in FTSE 100 index stocks, down from 59% in November 2008 – and have responded by cutting fees and investing in technology. However, reductions in trading fees have not necessarily been passed on to the buy-side and increased liquidity fragmentation has required asset managers to invest heavily in trading systems and post-trade analysis of trading performance. Despite taking market share from the major trading venues, the thin margins needed to attract liquidity have left Chi-X Europe as the only MTF with enough market share to have made a profit in the tough market conditions that have prevailed since MiFID. Chi-X Europe launched in April 2007, ahead of the directive which came into force on 1 November 2007, and has steadily built on its first mover advantage. Despite its experience of building market share in the US – where BATS Exchange regularly accounts for 10% of equity trading volumes – BATS Europe, launched in April 2008, has not achieved the same level of success. 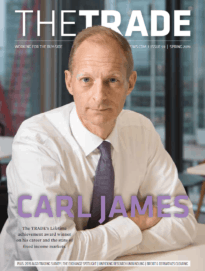 In August 2010, Randy Williams, vice president of global communications at BATS told TheTRADENews.com “We need around €4 billion worth of turnover in Europe per day to be consistently profitable. We have hit this target on some days but just not over a whole month yet. Assuming volume levels improve, we expect to be profitable by the end of Q1 2011,” adding that the group's profitability meant that its European operations could be financed for the foreseeable. BATS Europe posted a loss of US$10 million in 2009 and was expected to post a loss of US$5 million in 2010. Turquoise, an MTF launched in August 2008 by a consortium of investment banks, sold a majority stake to the London Stock Exchange Group on 18 February 2010 having achieved a 2.86% share of pan-European market share the previous month. 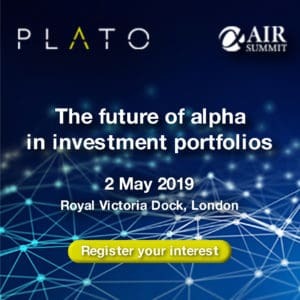 The platform, which gained a 3.38% pan-European market share in November 2010, has migrated to the LSE's Millennium Exchange technology platform and is expected to launch the exchange's equity derivatives service in 2011. Nasdaq OMX Europe, the MTF operated by exchange group and widely-rumoured Chi-X Europe bidder Nasdaq OMX, shut down on 1 July 2010 following an assessment of the platform's business prospects. Given continued uncertainty about equity volumes in Europe, a merger between BATS and Chi-X Europe would in theory strengthen the long-term viability of an independent MTF. But the details of any deal will pay a large role in deciding the combined venue's fate. BATS brings experience and technology to the table. It claims its trading platform is able to match orders at less than 400 microseconds and many of its management team, including CEO Mark Hemsley, have been in place since it launched in 2008. Chi-X Europe says it can only offer similar speeds “in some cases”. CEO Alasdair Haynes joined the firm in December 2009, having previously headed agency broker ITG's European business. BATS Global Markets said there would be no further statements made at this time.